In recent years, I have established a holiday tradition of getting up an hour or so earlier than the rest of the family and then sitting outside to read. At our hut on the Northumberland coast, I position my chair facing the rising sun, sheltered from the wind and enjoy coffee and peace for as long as family sleep allows. Following Stuart Housden's series of blogs in the run up to BirdFair, Steph Winnard of the RSPB/Birdlife Marine team reports back on the work carried out by the Albatross Task Force, since the receipt of BirdFair funding seventeen years ago. Vultures: Where is the learning curve? Today’s guest blog is from Andrew Callender, who leads the RSPB’s international policy programme work. Will you be a Guardian of Sherwood Forest? The anticipation is now palpable as the days and months creep forward to RSPB opening a brand new visitor centre and take on the management of the Sherwood Forest National Nature Reserve. 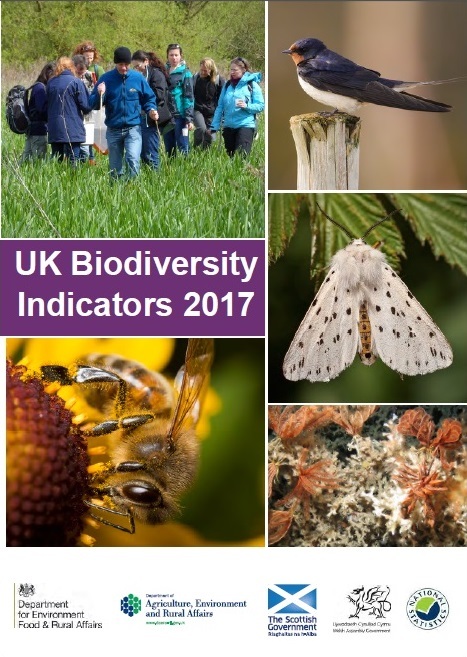 Every year the UK Government publishes a set of biodiversity indicators. These provide the official position on the state of the nation’s species, the pressures they face but also how well we are responding to these changes. These reports are of a very high quality and are by necessity incredibly detailed. If like me you are so inclined, they also invite healthy scrutiny and commentary.